This year WIPCE 2014 was held at Kapi‘olani Community College in our hometown of Honolulu, Hawaii. With WIPCE being in Honolulu this year, it presented a unique opportunity for many KSDL staff, including myself, to attend and present at an international conference of world indigenous peoples. The presentations that I attended were all very culturally enlightening, inspiring and demonstrated many presenters’ dedication to save their culture and uplift their people’s lives. Each presenter had their own unique story and method of strengthening their culture through mobile learning, storytelling, dance, research, gaming, and art. One mobile learning presentation I attended focused on teaching the Māori language and culture through a mobile app called Te Pūmanawa. In the session we were able to test the app and see an accompanying website that included cultural video clips, images, interactivities, and quizzes. The presenter expressed his concern about the decline in the learning and usage of the Māori language. He predicts that if nothing is done to save the culture that it could go extinct within a generation. Another memorable presentation that I attended was on Aboriginal dance that was presented by students from Wesley College in Melbourne Australia. They explained the cultural significance of the didgeridoo and explained that the sounds that come out of this native instrument represent animals in their native land. Combining the sounds with their dance tells tales of their native lands and animals and passes on their culture to future generations. KSDL was also very fortunate to present two presentations to an international audience. 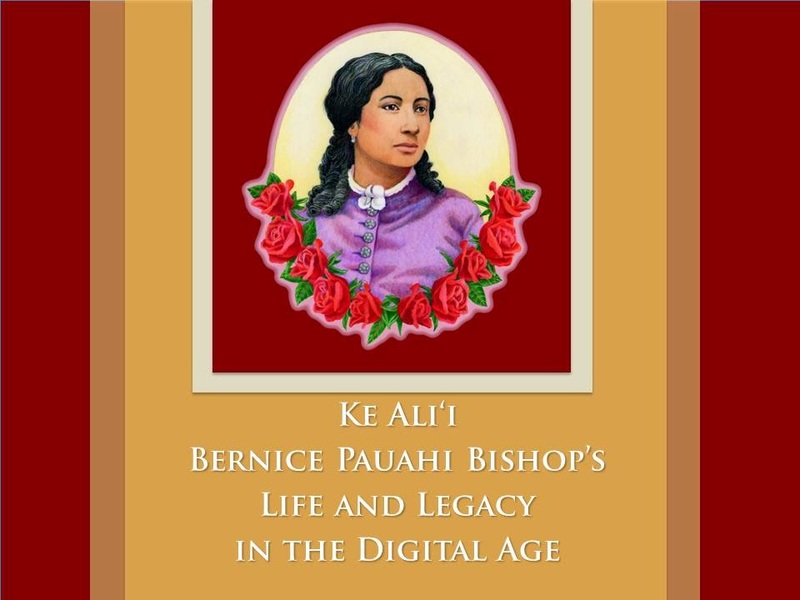 Our group’s presentation was titled: “Ke Ali’i Bernice Pauahi Bishop’s Life and Legacy in the Digital Age” and covered insights and successful strategies in the creation of our Pauahi Lani Nui online course including: technology, online community, graphic design, cultural illustration and instructional design. I’m was honored to be able to participate and present at this international conference and hope to one day be able to do so again.